I 've just finished my shift and have, starting tomorrow, 3 days off work!! When all that is over and done with I can concentrate on my crochet. I'm finishing another birdhouse and have ideas for a different model. But I 'll keep that for myself for now. 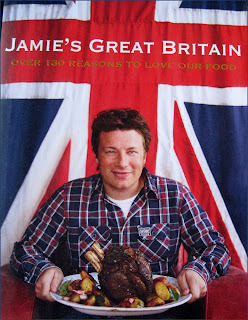 Also today I bought 2 new books! 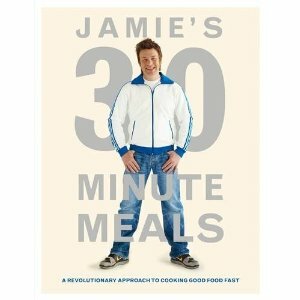 Jamie's 30 minute Dinners and Jamie's Britain. I had a few vouchers given to me on my birthday, so I cashed them in. I looooove Jamie Oliver, he is so passionate about (good and healthy) food and cooking, you can not, not be inspired when you watch him.